I would be most content if my children grew up to be the kind of people who think decorating consists mostly of building enough bookshelves - Anna Quindlen. Hampshire County Council Libraries often host a Summer Reading Challenge for children. 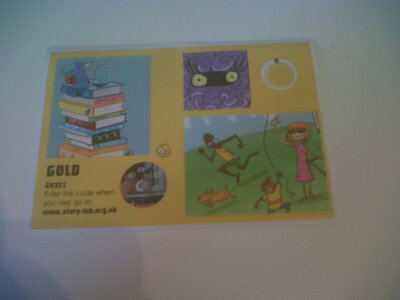 This year I am lucky enough to be a Summer Reading Challenge Volunteer at Winchester Discovery Centre. I absolutely love it. 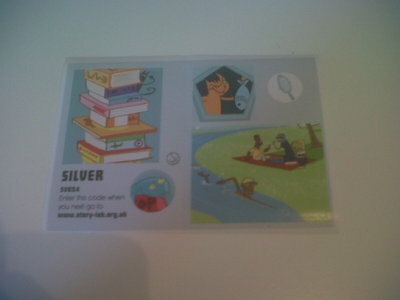 I sign children up to the reading challenge, discuss the books they have read, fill out their 'book chart' and on completion I give their medal and certificate to them. As I have been a passionate reader from a young age, I am eager to encourage more children to read. I have enjoyed seeing children's enthusiasm for reading and I have loved the excitement that they have when discussing the story with me. This year the theme is 'Story Lab'. You can visit the website: story-lab.org.uk/ to find out more on the theme as well as playing online games. Each year, Hampshire County Council creates a new theme which makes each year's challenge exciting and different. So, what do you have to do for the challenge? Read 6 books by the 16th of September. What do you get from the challenge? For each book you read you are given a sticker. 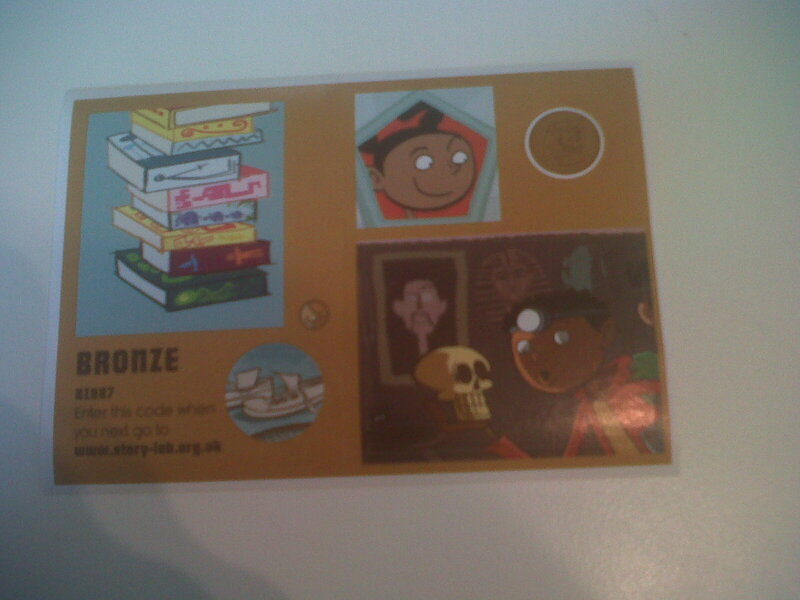 The first two stickers are bronze, the next two are silver and the last two are gold. They also include some scratch and sniff stickers. You are also given a 'book chart' where you can stick your stickers on. There is also a bit on the chart where you write your book titles and give them a star rating of one, two or three. This part can also be ripped off to be used as a bookmark. If you complete the challenge, you receive a certificate and a medal. What books can you read? Stories, picture books, jokes and fact books. Audio books also count too – as long as all of the above are borrowed from the library. What age range can join? The typical age range is from 4 – 11 years, but it isn't a rigid rule. I have signed up a two year old whose Mum was planning on reading to her as well as a 12 year old who struggles with dyslexia. It is for children of all abilities. Where can I sign up? Any of the Hampshire County Council libraries. I am volunteering in the Winchester branch. However, there are many more. Please visit the website for more details on the closest library to you. Why should you do the challenge? As said previously, I am passionate about children of all ages getting into reading. I think that reading can be beneficial to children for many reasons. In academic terms, reading can help increase a child's vocabulary and knowledge. Reading can also become a pleasurable activity for children. It also takes them off your hands for part of the summer. I am really enjoying my experience at Winchester Discovery Centre and I am definitely going to take part next year. I love working with children so it is all a bonus for me. I am sad that I never took part in a challenge like this when I was younger and I wish that it had been offered to me. It is definitely something you should consider if you want to give your child something to do for the summer, if they enjoy reading or if you want to introduce them to literature. If your child does sign up, good luck. I hope they complete the challenge and that you enjoy the experience with them. In Winchester Library specifically there is an arts and crafts run most Saturdays by the Story Lab table. There is also a book club for Children. For more details, please visit the library. Wonderful review, Sally-Jane. My kids love participating in these types of reading challenges at our local library (and a bookstore). The prizes, which include little toys, card games or paperbacks for them to keep after completing a certain number of books, differ a little from branch to branch. But, as you noted in your review, the kids are encouraged to read, which enriches their lives in many ways. In the end, that's the most important part of all. Thanks for sharing.